There are some interesting statistics behind these headlines. According to the most recent National Insurance Crime Bureau Theft Report, theft in the U.S. increased by 5 percent compared to 2012. 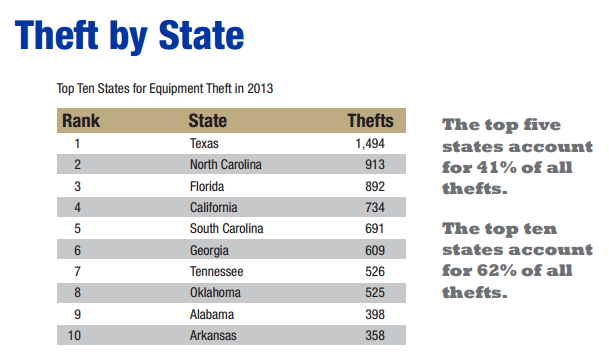 The top five states (Texas, North Carolina, Florida, California and South Carolina) accounted for 41 percent of the thefts. This is partly due to the volume of equipment in these states due to construction and agriculture activities. 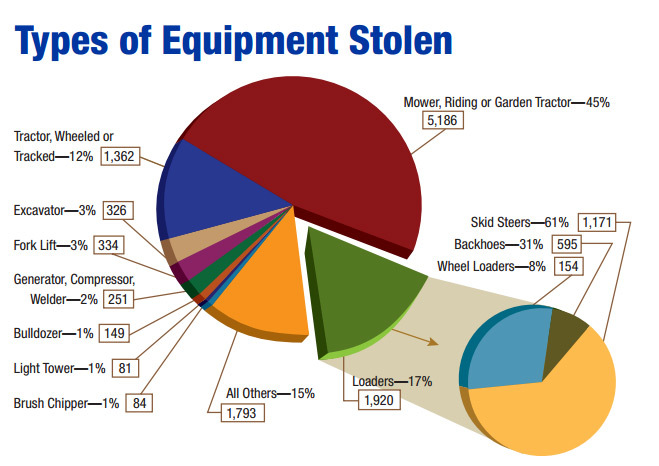 Loaders and tractors were by far the most popular type of equipment to be stolen, partly due to their value and their mobility. Excavators and fork lifts were the next most popular type of equipment to be stolen. 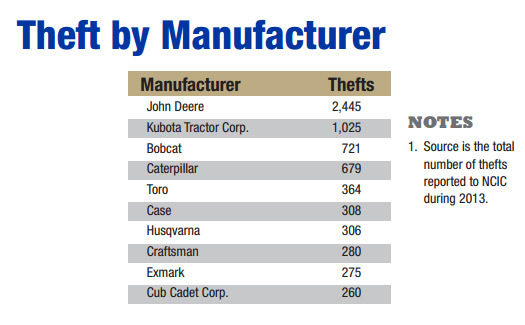 And finally, John Deere was the manufacturer with the most thefts, followed by Kubota Tractor and Bobcat. Since these companies make the most compact types of heavy equipment, they are easier targets for thieves. The cost of heavy equipment theft can be difficult to assess. According to the report, annual estimates vary between $300 million to $1 billion. These don’t include losses due to business interruption including costs for short-term rentals, project related-penalties, and wasted workforce and management time. To add to the woes, recovery rate is relatively poor with only about 20 percent of stolen equipment being found. Unlike the automobile industry, equipment security has not improved much in the past few years. For this reason work site security is especially important to prevent theft. Telematics systems also provide some piece of mind since GPS data can be used to locate missing equipment, while geofences notify owners of any unauthorized usage or movement. 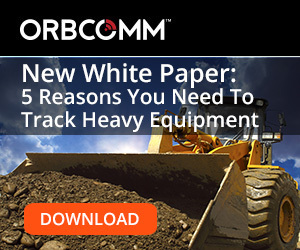 To learn the four other reasons why you need telematics for your heavy equipment, please download our latest white paper “5 Reasons You Need to Track Your Heavy Equipment”.